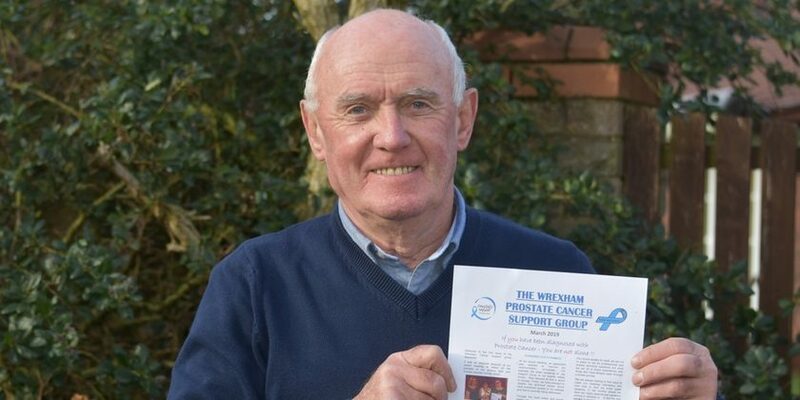 A Wrexham man and founding member of a local prostate cancer support group is calling on those suffering with the illness to visit the monthly meetings. March has been designated as the Prostate Cancer Awareness Month – giving way for a national campaign to be launched throughout the UK. Prostate cancer is the most common cancer amongst men, affecting thousands of people each year. The campaign has been developed to provide men with clear advice on prostate cancer. It outlines the associated issues and encourages men to discuss their individual risk and testing options with their doctor. In a bid to offer help and assistance to those diagnosed with the illness and their families, a Wrexham Prostate Cancer Support Group has been established. The group, which meets once a month at the Nags Head in Wrexham town centre, is firmly behind this month’s prostate cancer awareness campaign. Malcolm Williams from Marford, one of the founding members of the group, said the key message is the importance of early detection. “The facts speak for themselves, men with localised prostate cancer who are identified and treated early are known to have a cure rate which can be in excess of 90 per cent,” explained Malcolm. Mr Williams added: “The aim of our group is to provide support primarily for those who have been diagnosed with Prostate Cancer or on the journey to recovery following treatment. The invitations are also extended to partners and their families. “First and foremost, what we do discuss is totally confidential but it is held in low key environment and stories and anecdotes are shared with empathy and humour. The Wrexham Prostate Cancer Support Group meets on the first Wednesday of each month at 7pm at the Nags Head on Mount Street. For further information call 01978-852731 or email the group via wxmpcsg@gmail.com.